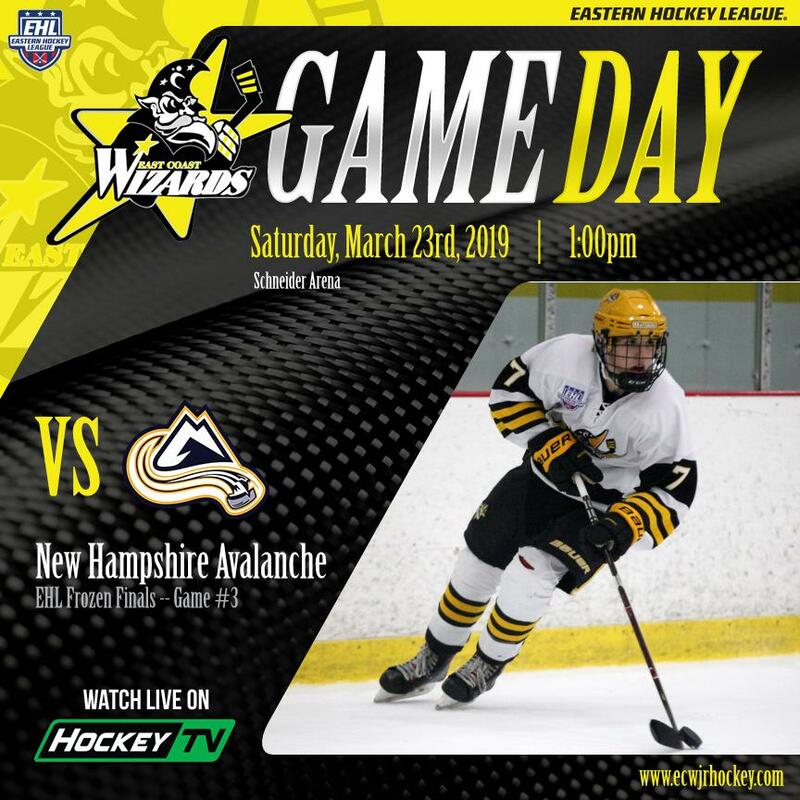 BEDFORD, MA -- The East Coast Wizards are heading to Providence, RI this week for the 2019 EHL Frozen Finals. 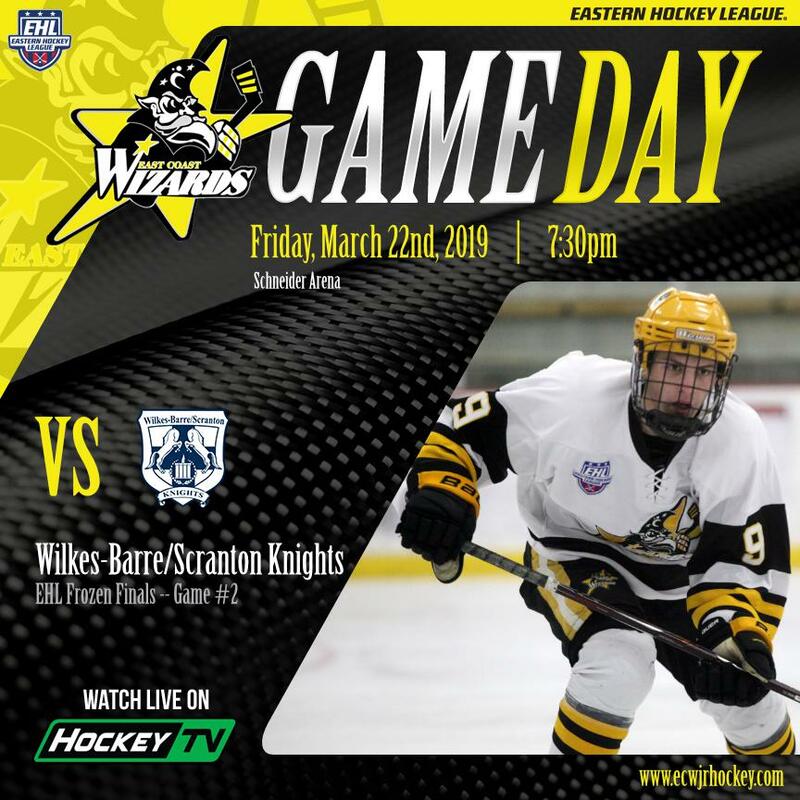 This is the Wizards' first-ever appearance at Schneider Arena, which serves as the venue for the EHL's version of the 'Frozen Four'. The first three days of the event, Thursday through Saturday, feature a Round Robin tournament amongst the four participants. 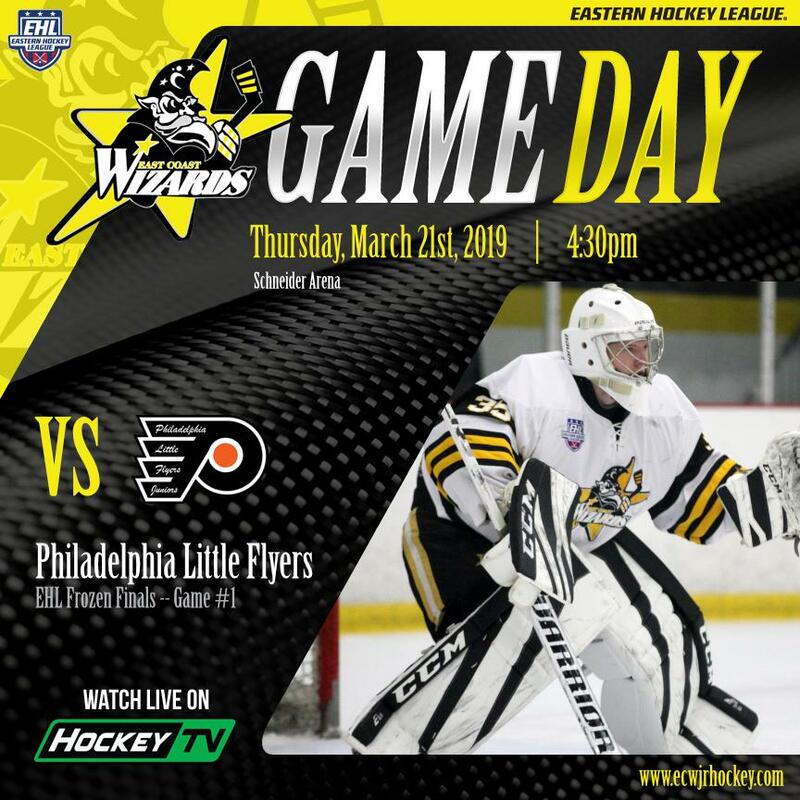 The final day of the event, Sunday, showcases the top two teams from the Round Robin in this year's EHL Championship Game. "We are excited to just be in this position," said Wizards head coach and general manager Freddy Meyer. "This group has come a long way this year, and we've proven a lot of people wrong. Kory [Falite] and I can't wait to see our guys compete in this year's EHL Frozen Finals." Each opponent brings its own unique challenge to the Wizards, as it goes without saying that at this time of year, there is no easy task. Below you'll find the box scores for each matchup, along with the scheduling details for all three Round Robin games. If you can't make it to Providence, remember that you can catch all the #EHLFrozenFinals action live on HockeyTV. Also, keep up on all the matchups via the EHL website and social media channels (Facebook -- Twitter -- Instagram).